Both the smartphones pack dual-rear cameras with 16+5MP setup along with LED flash and traditional features like a bokeh mode. The smartphones come with a 16MP front camera with Bokeh mode, Face Emoji, and Face Beauty modes. Dual SIM device run on Android 8.1 Oreo. Both the modes come with the proprietary function called ‘AI Sense’ that is said to unlock the smartphone using their face in less than half a second even in low-light conditions. Packed by 3000mAh Battery. 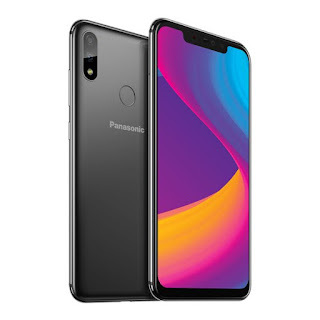 Panasonic Eluga X1 and X1 Pro come in Silver and Dark Grey color options priced at Rs. 22,990 and Rs. 26,990 respectively. Both smartphones will be available across all major retail stores in India starting October 10. Panasonic is offering a pair of Panasonic headphones with Eluga X1 and Eluga X1 Pro comes bundled with a wireless charger.